EAST FIFE midfielder Scott Linton has revealed that Christmas has come early for the Methil men after they were handed a daunting trip to Dublin. Darren Young’s in-form Fifers will face Irish outfit Bohemians in the Irn-Bru Cup quarter-final and, while Linton is delighted by the prospect of a unique tie, it will undoubtedly represent a financial and logistical challenge for the part-timers. However, the main grievance among the East Fife players was that they are already due to go to Dublin for their festive night out. “I put it [the draw] up on the WhatsApp group chat straight away and got a bit of a mixed reaction from the others,” Linton laughed. “It’s another away tie – plus we are already going to Dublin for our Christmas night out four weeks later! “Some of the boys need to book time off work and it’s a few days away from the family as well. It’s not the most convenient, but especially for the younger boys it’s a good excuse to get away and an exciting trip. “Maybe we can scope out a few places to go for the Christmas night out! “Personally, I feel like it will be a good experience. Ordinarily, you play the same teams four times a season, so to get an opposition from a different country is something to look forward to. 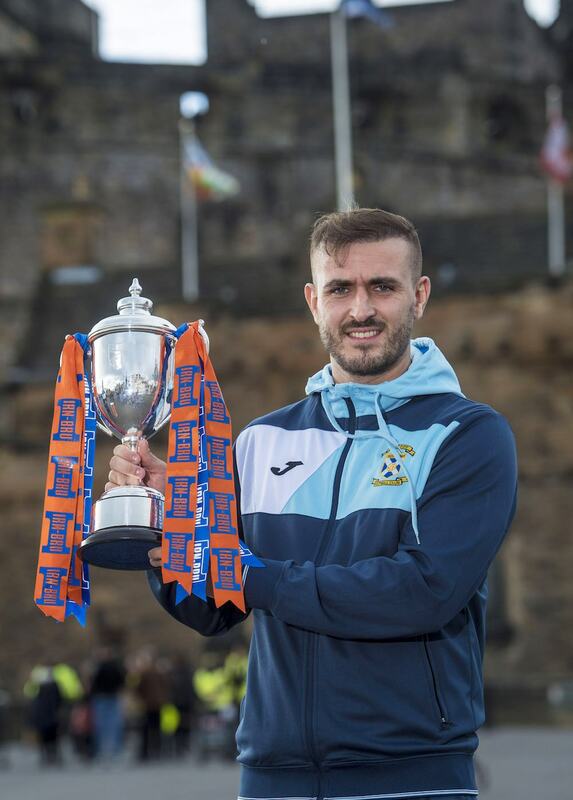 The other club from outwith the SPFL, Welsh side Connah’s Quay’s Nomads, were handed a trip to Hampden to face Queen’s Park during the draw at The Hub, on Edinburgh’s Royal Mile yesterday. Motherwell Colts, who became the first youth team to reach the last eight by defeating Sligo Rovers at the weekend, will host Ross County, while League 2 leaders Edinburgh City welcome Alloa Athletic to Ainslie Park.